Nestled in the desirable Park Hills Heights community this inviting and spacious home awaits its new owner. Entering this home, you are greeted by natural light and openness. The kitchen has newer cabinetry w/complimentary granite counter tops and appliances. Updated wood laminate floors are featured throughout most of the home. All bedrooms are nicely sized, with the master bedroom having its own updated private bathroom. The 4th bedroom is extra spacious and currently used as a family room/office. Additional features/updates include: laundry area w/overhead shelves, updated bathrooms, newer windows, central air/heat, decorative fireplace, and updated 200 amp electrical panel. Outside, enjoy the green landscaped front yard and spacious back yard. The long drive way and 2 car garage provides ample off street parking. 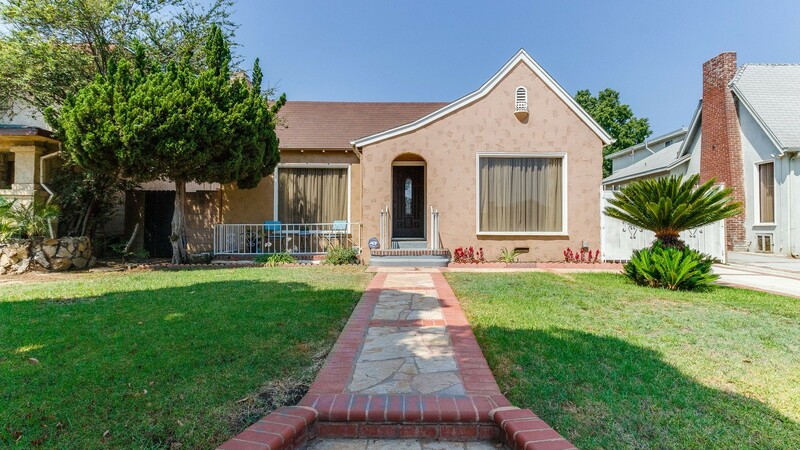 Centrally located in one of LA's Hottest Neighborhoods & minutes from the Expo & Crenshaw/LAX Lines...Opportunity Knocks!